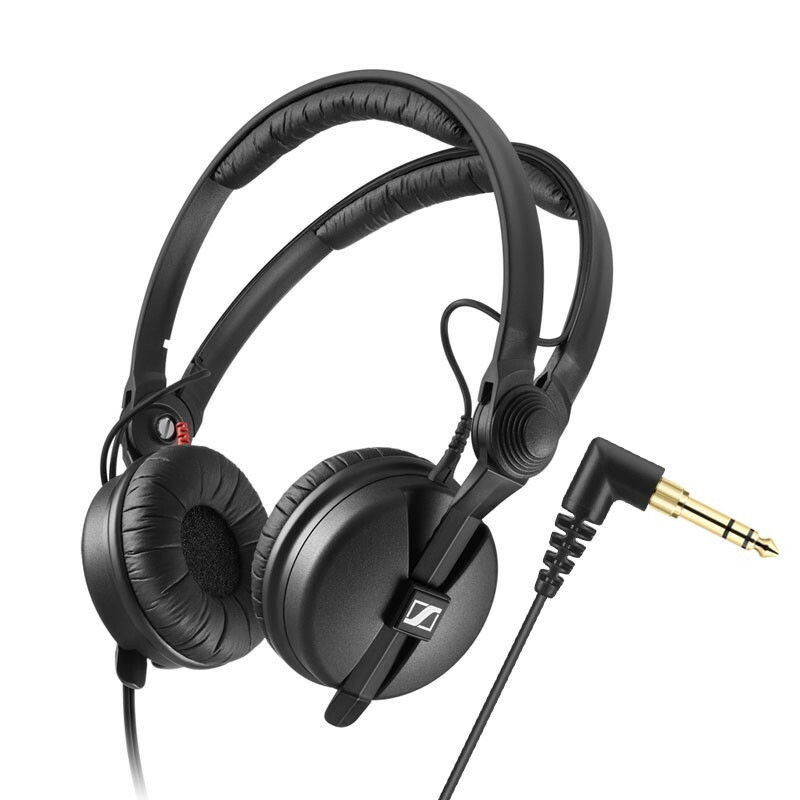 The classic Sennheiser HD 25 comes with its iconical split headband, 1.5m single-sided connection cable and a flip-away earcup for single-sided listening. Its redesigned headband ends ensure that the earcups lock securely into place, while lightweight aluminum voice coils ensure an excellent transient response. With a frequency response of 16 to 22,000Hz, an impedance of 70 ohms and a maximum SPL of 120dB, the HD 25 lends itself to any monitoring task, whether broadcasting, live recording or in the DJ booth. The HD 25 comes complete with a screw-on jack adaptor to 1/4" inch (6.3mm) for its straight steel cable with a right angle plug-on.